If you are excited about the fact that you will be relocating to a new, better and bigger house it is all great. But there are things that you need to know if you want the experience to be just as good as you imagine it to be, and you and your family do not go through any stress and strain in the process. 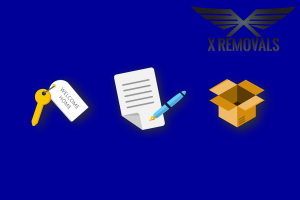 Moving homes is actually not that hard at all, all you need to do is to guarantee to be properly prepared, and here are some vital things to cover in order to do that. Once you are certain that the company that you consider covers all those factors, you can proceed to ask about free quotes so that you can pick up the one that will offer you the best deal in your area. Packing is the next step that needs to be taken care of. Packing is actually pretty easy, at least when you have the proper supplies and give yourself enough time to actually get it done. Specialists recommend that you purchase at least ten to fifteen percent more boxes and wrapping materials than you estimate you are going to need. Thus, you will give yourself enough workspace and not worry about ever running out of materials, especially in the last moment when things are most stressful. One additional tip about packing is that it is best done when you work from the most inside rooms of your house toward the outside, a room at a time. Thus, you will be able to keep track of the work done, and actually see your progress, which is going to greatly contribute to your peace of mind. Other factors that it will be best for you to weight in include managing the end of tenancy cleaning of the property you are vacating in time. This is especially important if you are leaving rented premises because it will guarantee you receiving a refund on your rental deposit. You can always use the money, right? If you are moving house and have pets, arrangements such as moving cages or even a pet hotel for a night or two are going to be a good idea, so you do not have to worry about the safety of your animals while you have other important things on your mind.